1. Parksville. 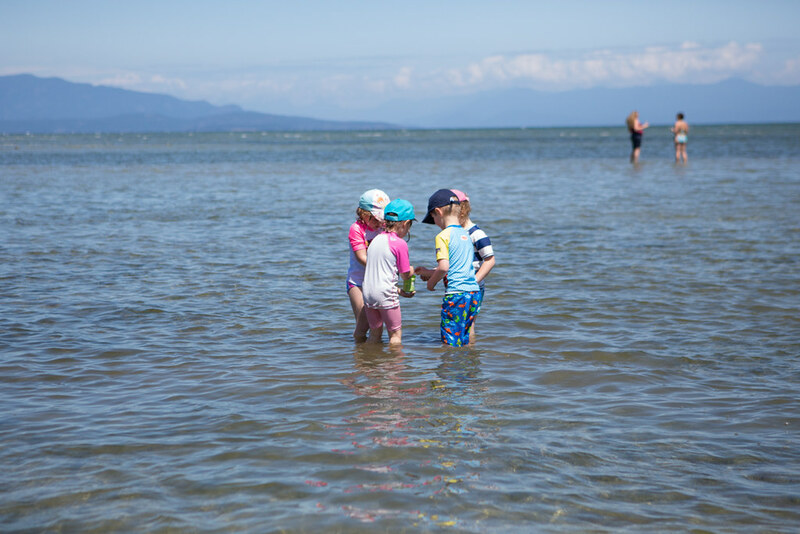 There are several great camping locations to stay in Parskville such as Rathtrevor Provincial Beach Park but we were having a family reunion in the comfortable cabins at Tigh-Na-Mara–so ideal for our big group! 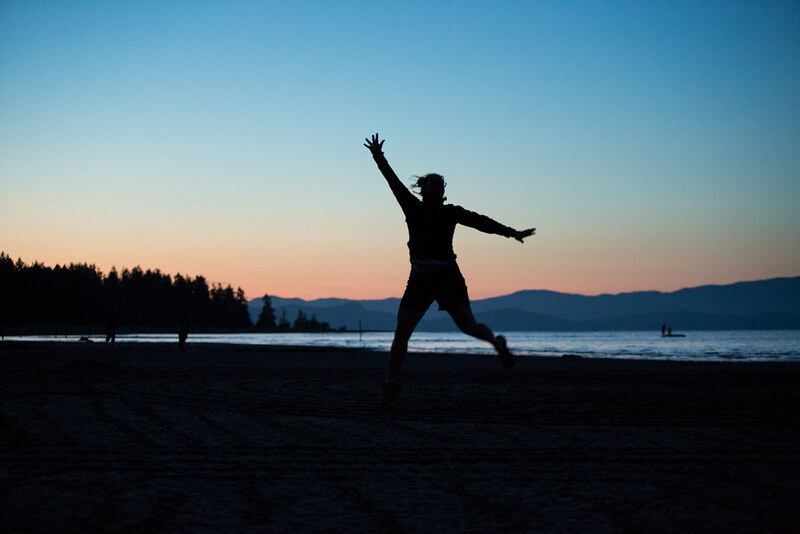 The beach (which is right next to Rathtrevor) is a highlight. 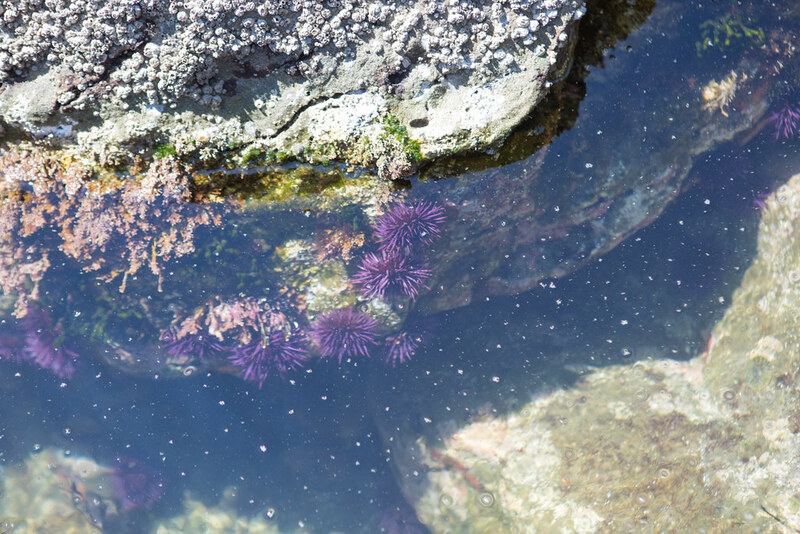 With the shallow water it warms up and is so comfortable to walk in and explore looking for sand dollars and sea anemones. We rented six cabins in a cul-de-sac which meant the kids could safely run around and it was so relaxing! 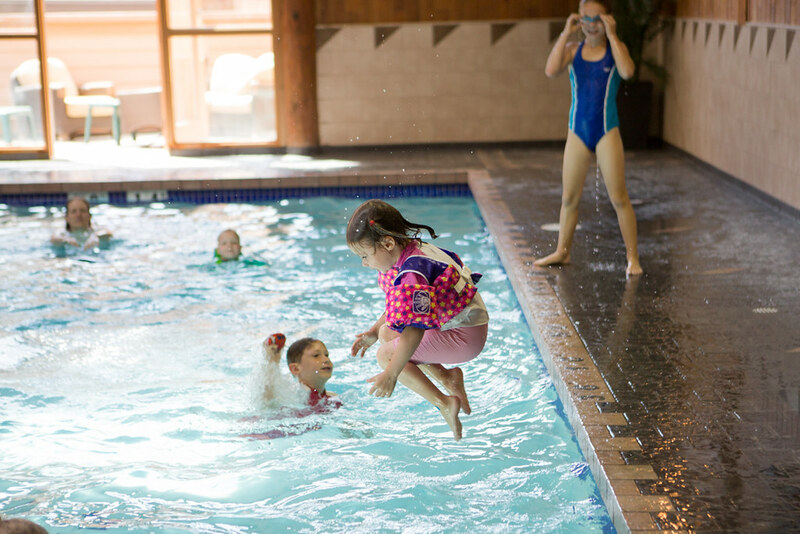 The pool was a highlight for the kids and there is also a sauna and hot tub to enjoy. We walked the beach and some of the trails through Rathtrevor. 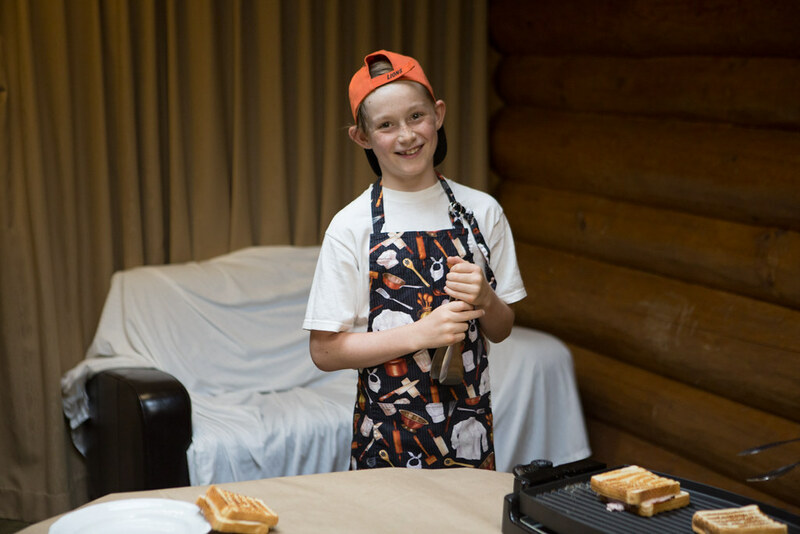 There is a Kids Club which is free as well as classes for an additional cost such as this cooking one that the biggest kids did! 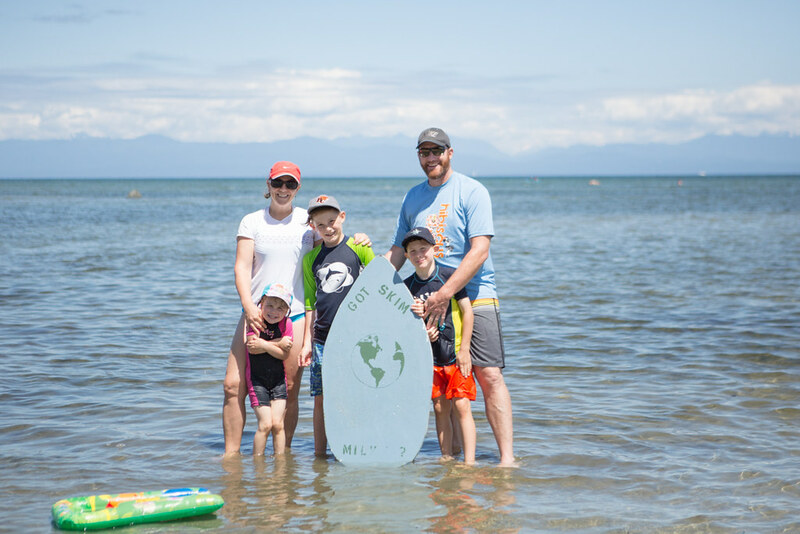 Because of the shallow water it is ideal for skimboarding which our kids tried out (I don't think you could call what I did skimboarding). 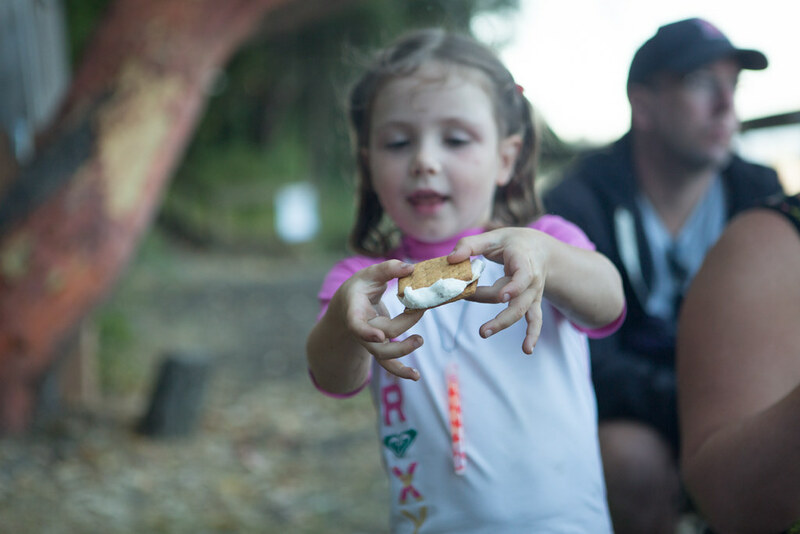 There are fire pits down at the beach and so we enjoyed s'mores on our last night there. The sunsets are beautiful and definite "must see". 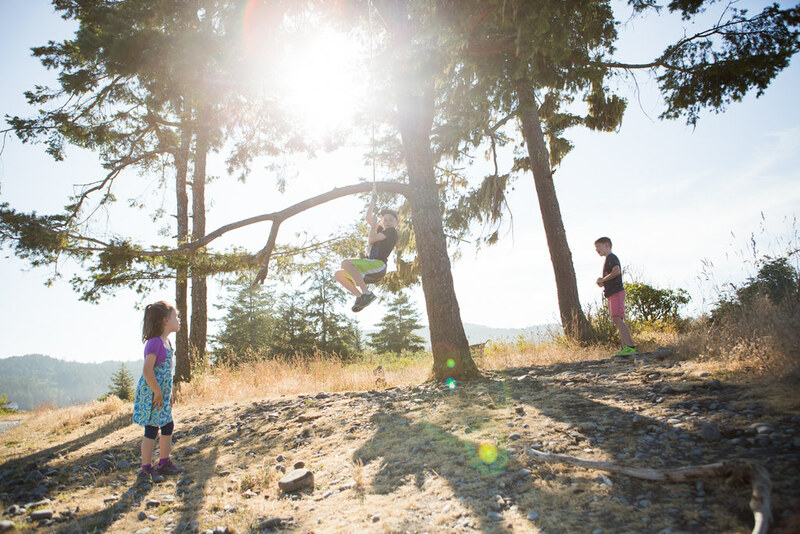 We spent three nights in Tigh-Na-Mara and it was the highlight for our kids as there were so many cousins to run around and play with. 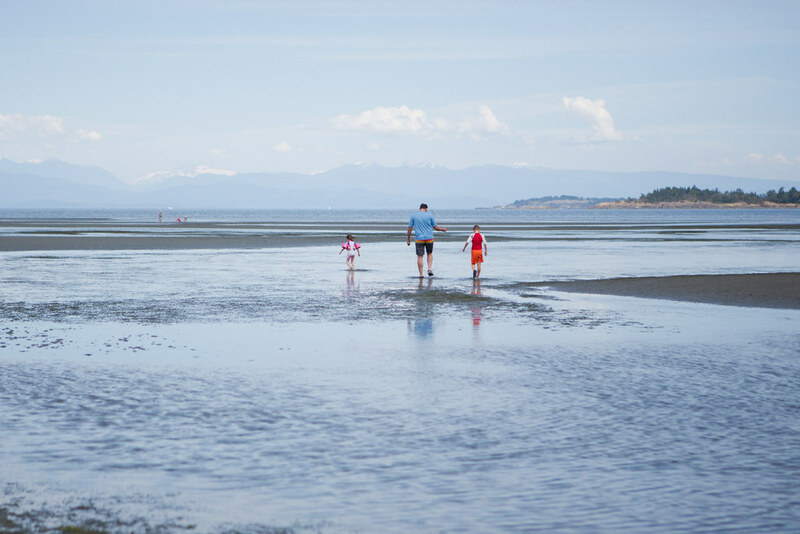 I've shared the Top Ten Family-Friendly Activities at Tigh-Na-Mara two years ago when we were there last–you can read them here. Our next stop was a 2.5 hour drive to Tofino. The second half of this route is very windy so be sure to utilize anti-nausea medication if you tend to get car sick. 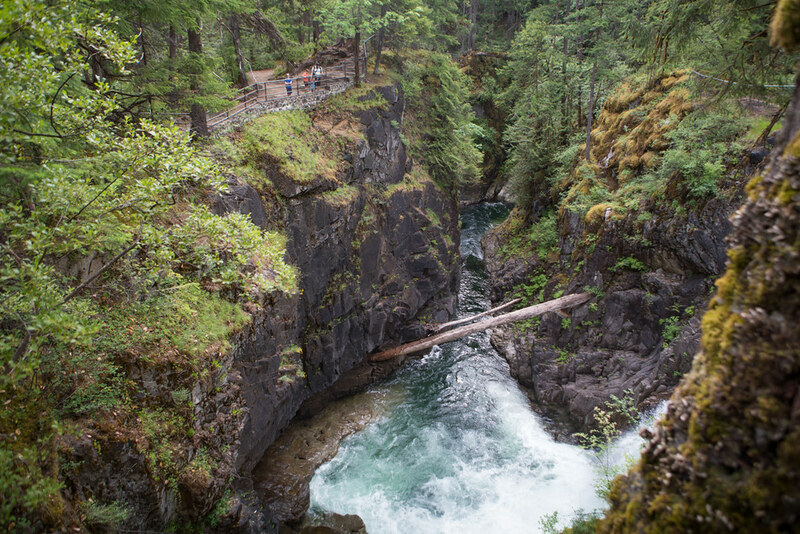 There are two places I would recommend stopping on the way: Cathedral Grove and Little Qualicum Falls. I would give yourself one hour at each location to explore and enjoy at a leisurely pace. About 30 minutes before getting to Tofino you will notice a Ucluelet/Tofino junction. 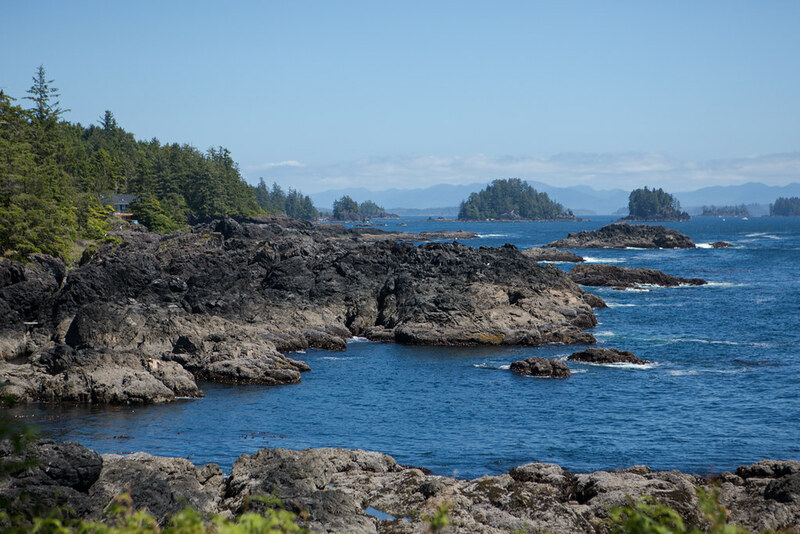 We always do a visit to Ucluelet in order to do the Wild Pacific Trail. It takes about one hour and will bring you to a lighthouse along the way. 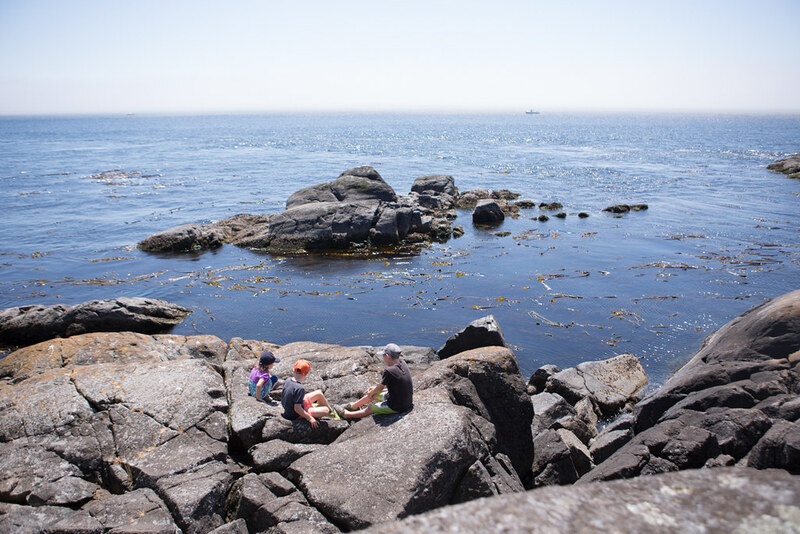 The majority of the trail is overlooking the rocky shores of the Pacific Ocean. 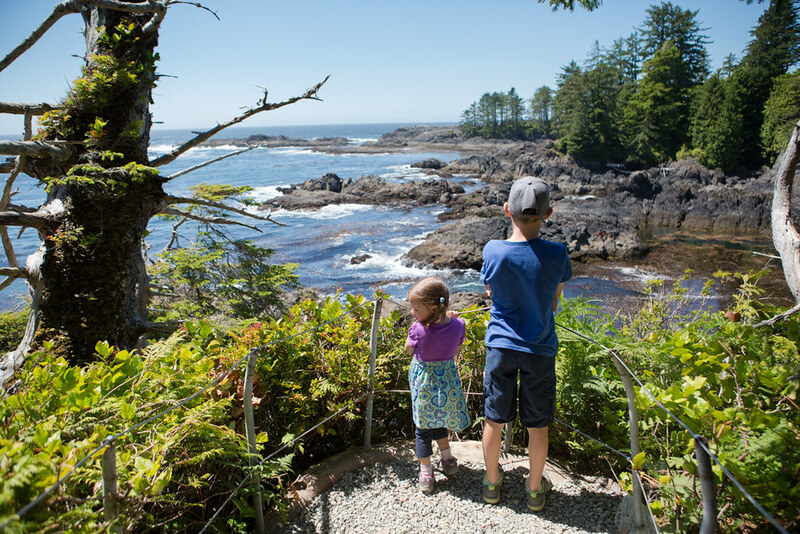 We stay in Ucluelet nearly every year so there is more information on it here for you. 2. Tofino. This was our second year staying in the beachfront camping spots at Bella Pacifica Campground on Mackenzie Beach. We had site number 16 this year and I think it was my favourite! There is not a lot of privacy but the views can't be beat. If you are looking for more privacy, the Oceanview spots are nice as well. 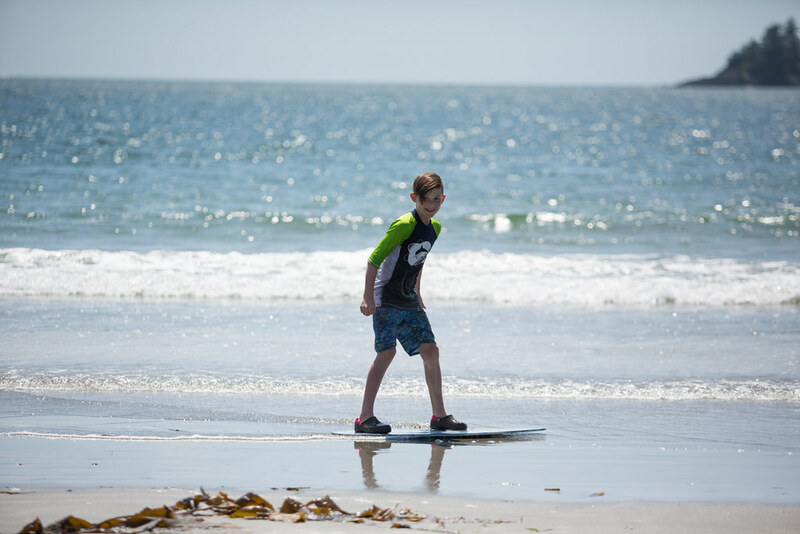 Mackenzie beach is perfect for skimboarding and checking out the anemones at low tide. 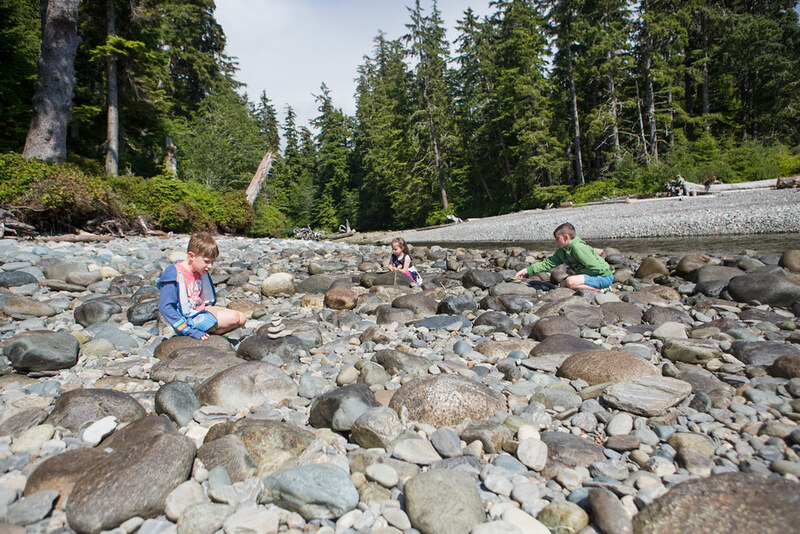 The kids spent hours playing on the beach and I loved that I could watch them from the comfort of my beach chair in our campsite. 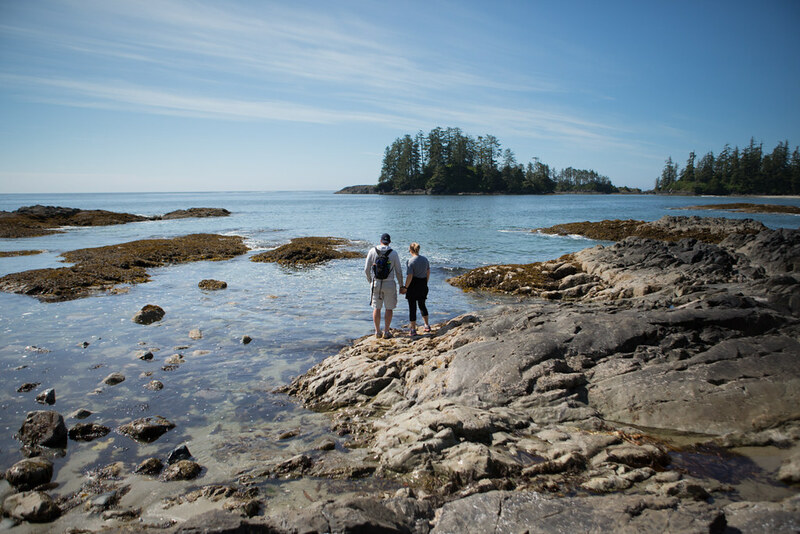 There are two hikes that we enjoy in Tofino. One is the Rainforest Loop and the other is Schooner Cove Trail (which is best done at low tide to explore the island). 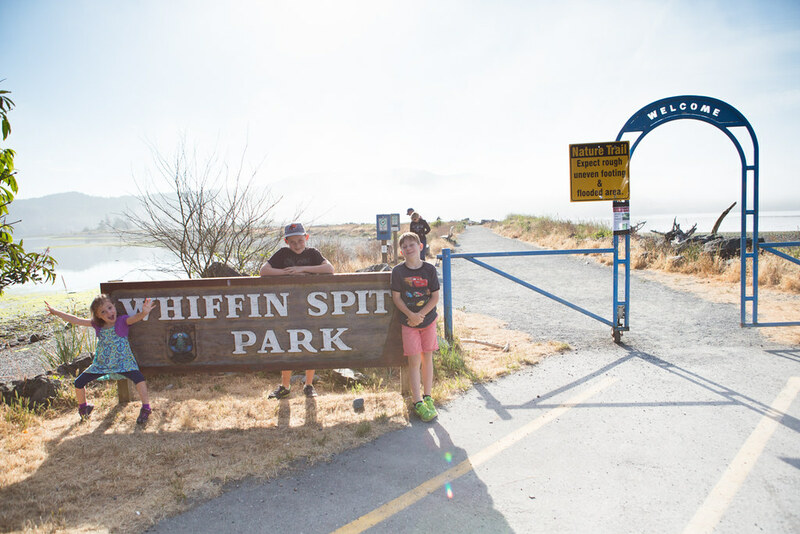 These walks are about 2 km's each and family-friendly but not for strollers. 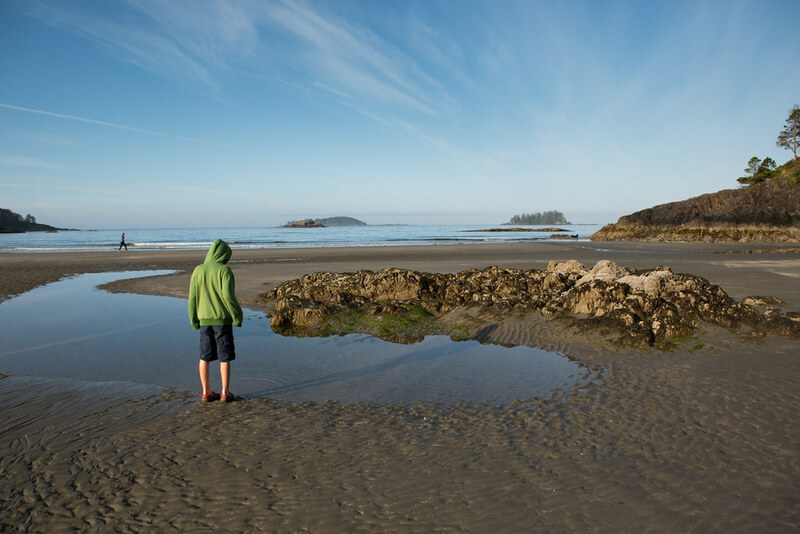 There are so many beaches to explore in Tofino and I recommend making a point to stop at each one but if you are limited in time, Long Beach is a favourite. Gorgeous, right? We always need to climb Incinerator Rock for this view. 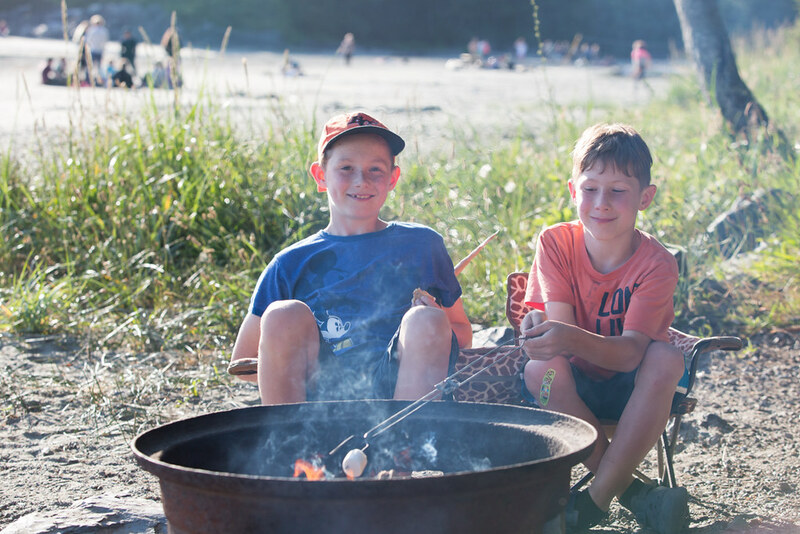 Back at our campground we spent more time skimboarding and then roasting marshmallows. 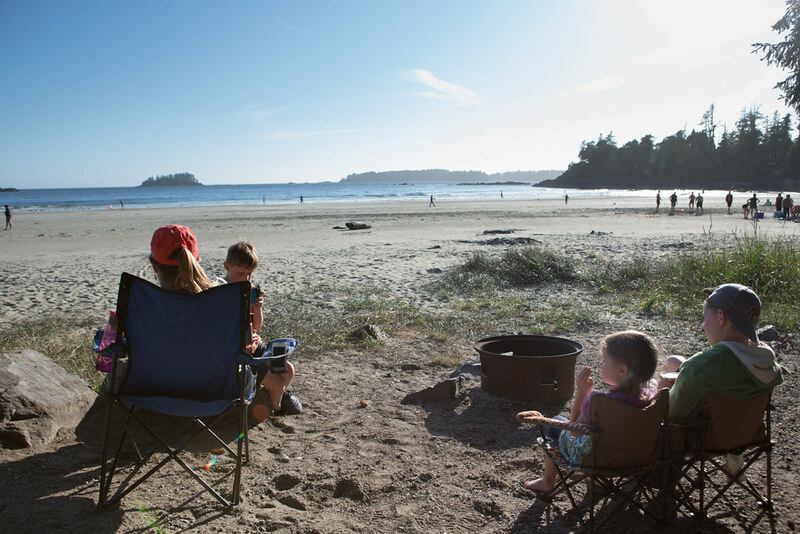 Tofino is in the "fog zone" so often the fire ban does not affect them. We spent two nights camping here and if you haven't been before you could spend more time for sure! 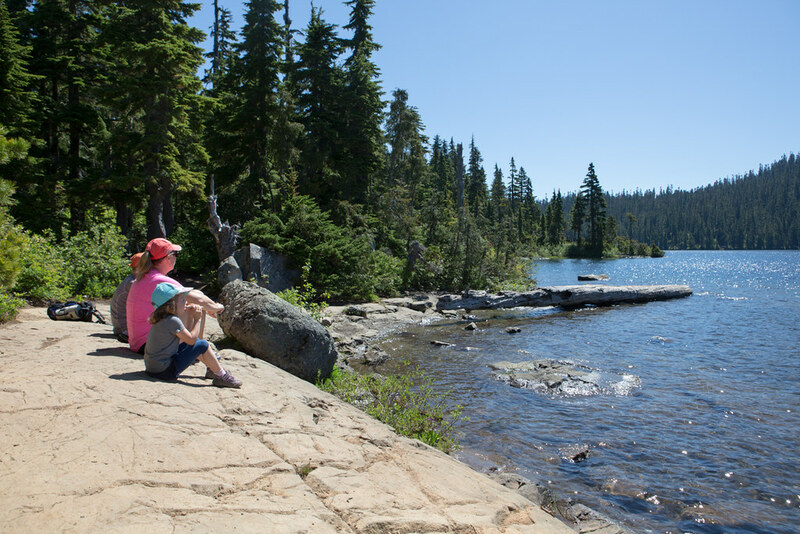 Our next stop was Strathcona Provincial Park which is a 3.5 hour drive. 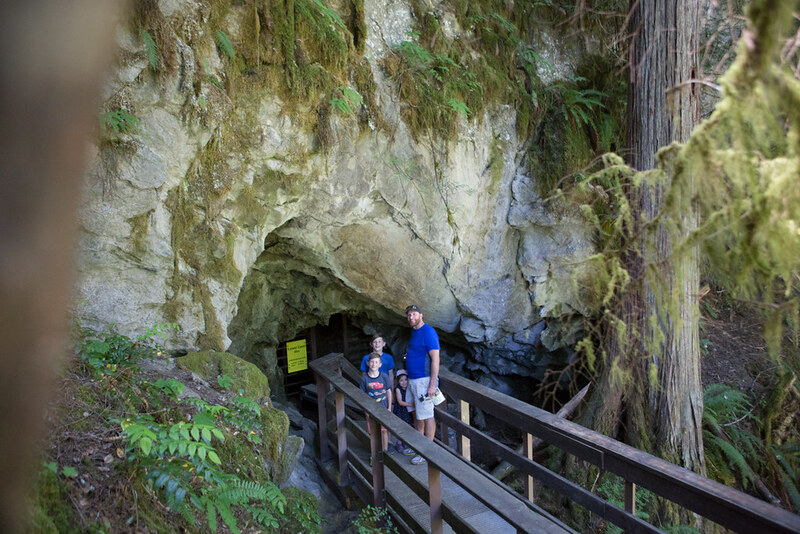 If you go, be sure to visit the Horne Lake Caves just north of Parskville! It is about 20 minutes off of the highway but it's worth it; I've written all about it here. 3. Strathcona Provincial Park. 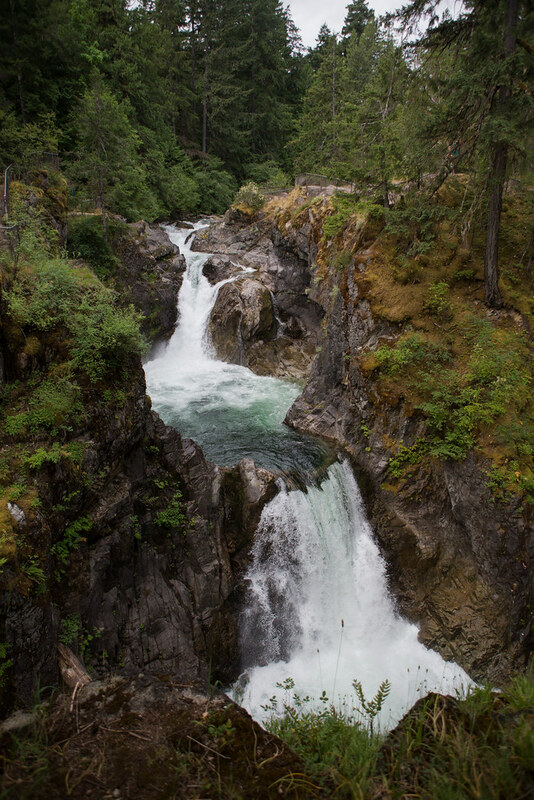 I have been to Vancouver Island at least 30 times and had never visited Strathcona Provincial Park! 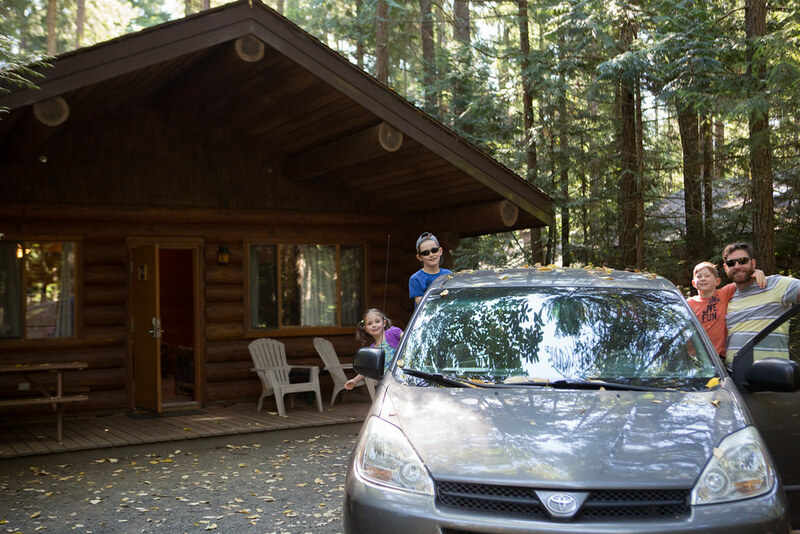 We rented through private accomodations at Bear Lodge and it was such a great decision–we had three bedrooms for our family! There is not a lot to do up at Mt. 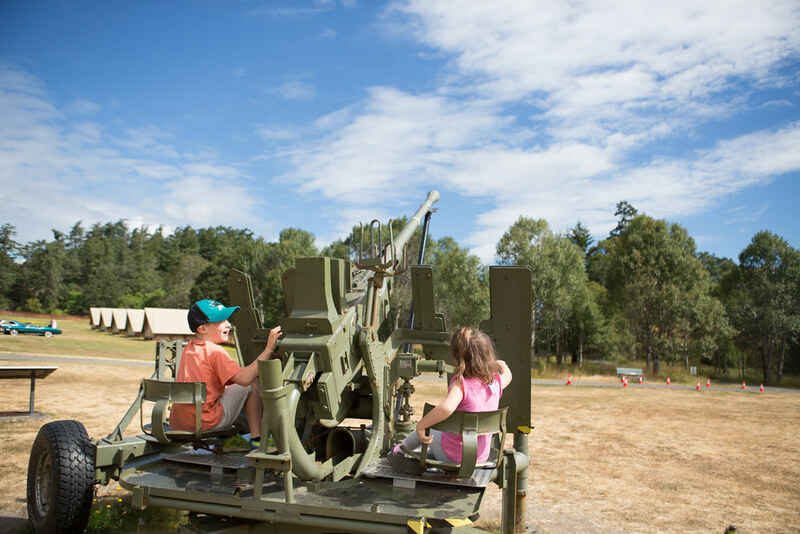 Washington in the summer but we could walk to the lodge and there was a playground, mini golf, disc golf and some walking trails. There were very few people up there. 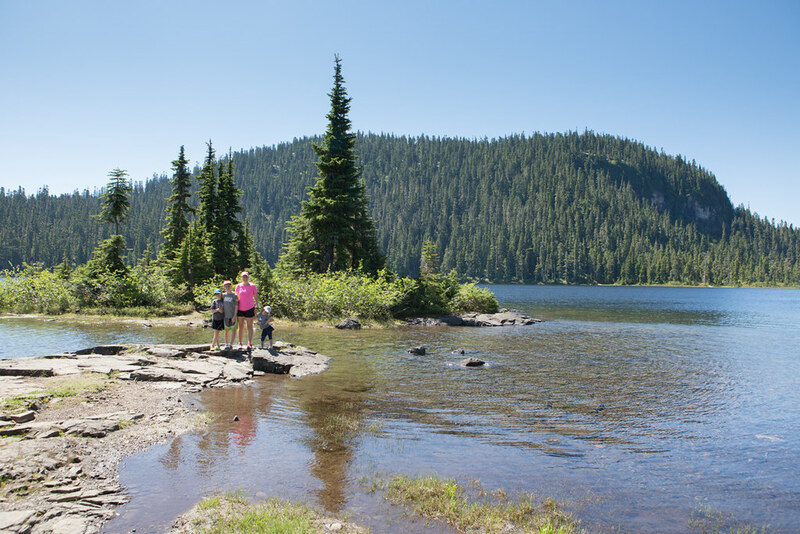 The main reason for going was to do some hiking in Strathcona Provincial Park–it's pretty fun when you can drive up to the top of a mountain and do hours of alpine hiking without having to do the hard work! 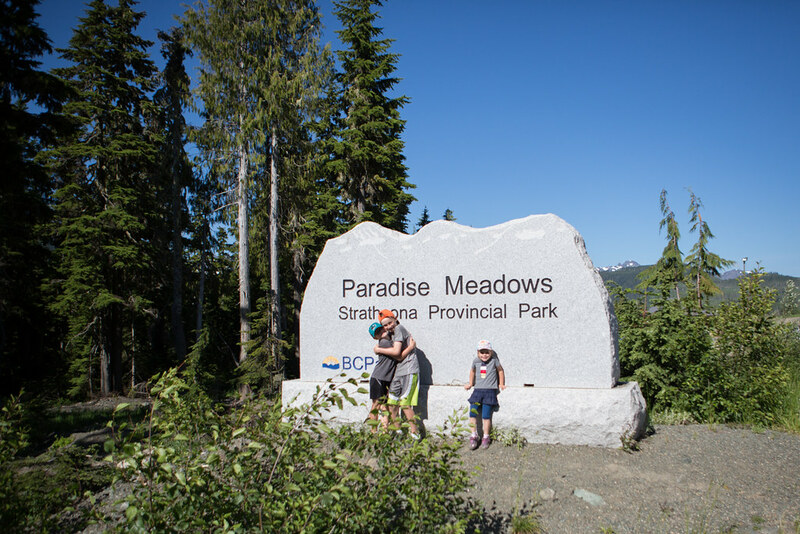 Paradise Meadows is about 6 km from Bear Lodge and there was ample parking at the trailhead. This trail system is so well developed with board walk, numerous signs, and several outhouses along the way. If you are looking for backcountry camping there are a lot of spots available. Our kids did about 9 km of hiking that day as there was relatively little elevation gain. 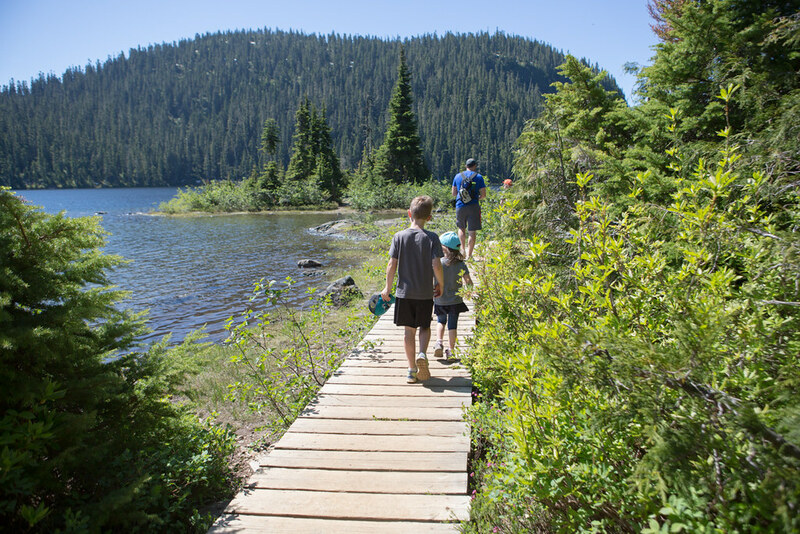 There are so many loops and trail possibilities that you can always head back or add on an extra lake or two depending on how your family is doing. We did Paradise Meadows, Battleship Lake and Lake Helen Mackenzie. As with any alpine hiking there are bugs so be sure to wear bug spray or just keep moving. Hiking in Strathcona was Gary's highlight of our trip. 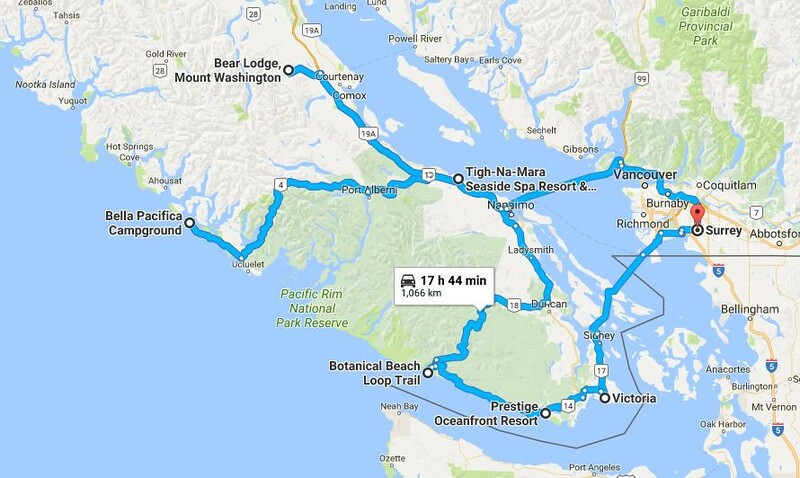 Our final stop was Sooke and this would be our longest road trip day at five hours in length. 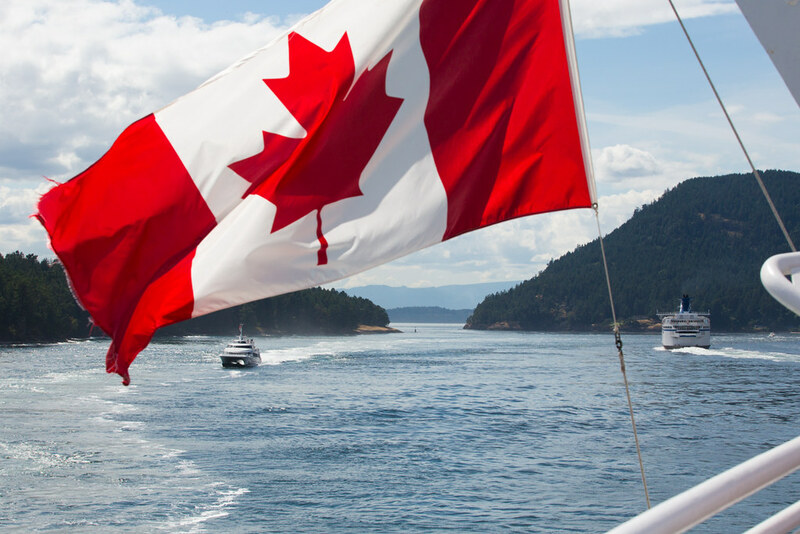 If you are visiting the places we did, we would recommend switching the order of Strathcona and Parksville for a shorter distance on this travel day. 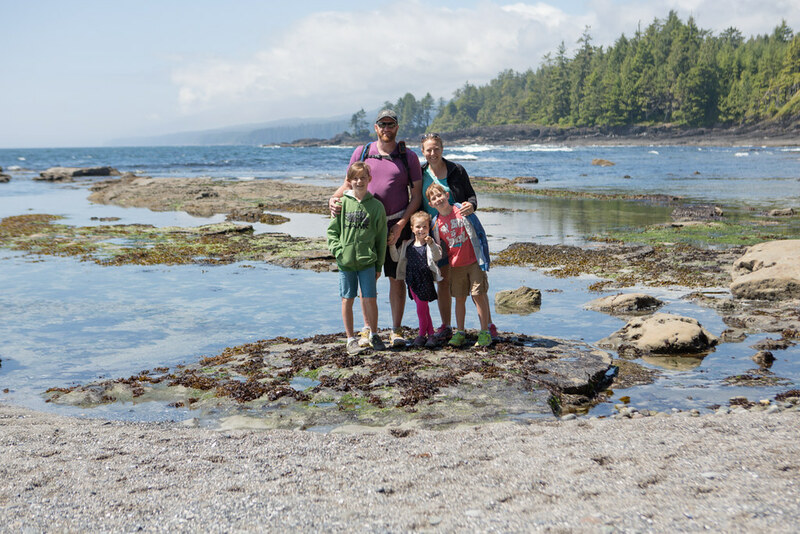 We took the route through Cowichan Lake and Port Renfrew to visit Botanical Beach which is a must see at low tide. 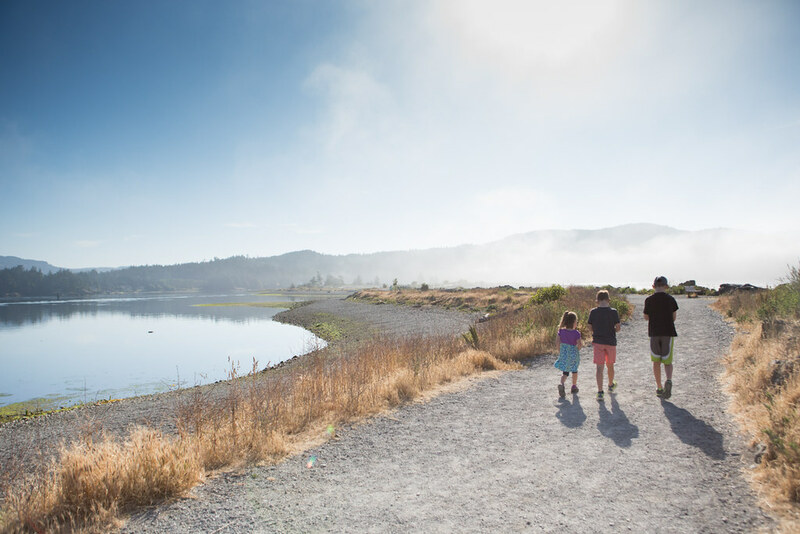 Botanical Beach can be found on a 2.8 km walking loop and takes about one hour to complete. 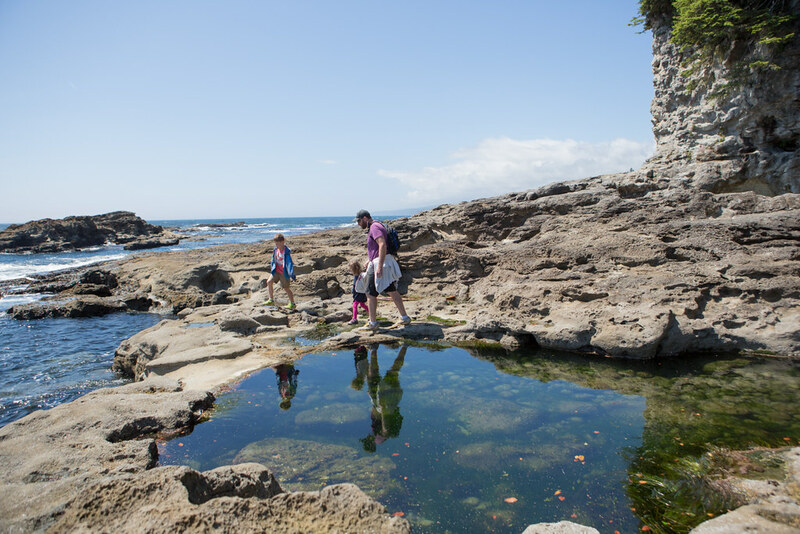 Give yourself at least another hour for exploring the beach as this will be a highlight–I've never seen better tide pools before. 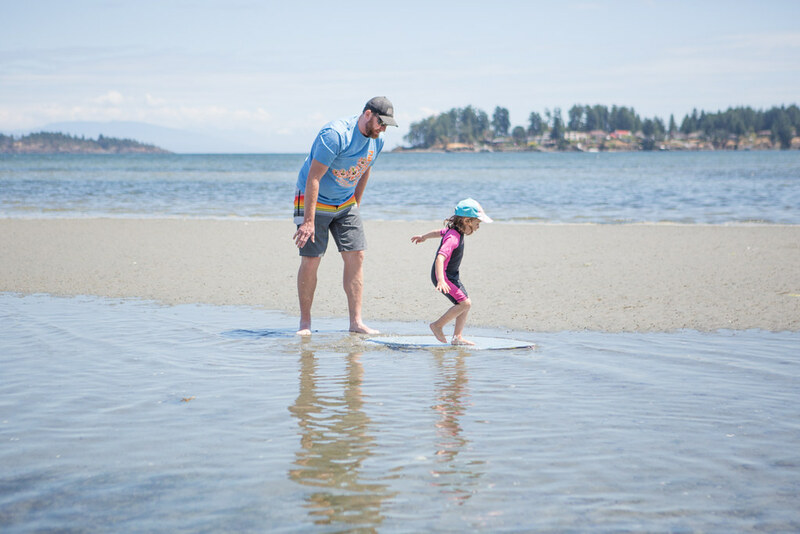 Make sure to go when the tide is low (1.2 meters or less is ideal), wear appropriate shoes, and keep a close eye on your kids. 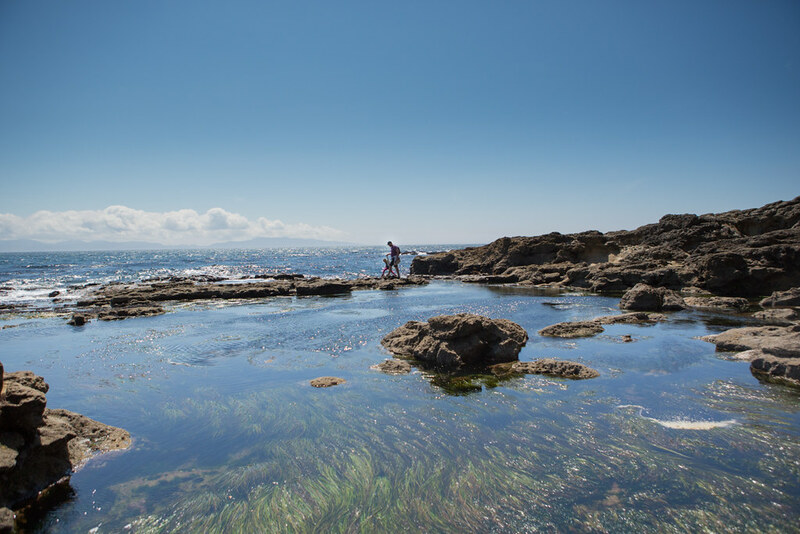 When heading south from Botanical Beach to Sooke, be sure to stop at a beach or two along the Juan de Fuca Marine Trail. I wish we had gone to Mystic but ran out of time after we finished Sombrio Beach. It wasn't my favourite but it does have many flat rocks which are fun for the kids to balance. This road is also windy so be prepared! 4. Sooke. We stayed at the Prestige Oceanfront Resort which was in a prime location for what we wanted to see. Our first morning we went for a walk at Whiffin Spit Park. It takes about 20 minutes to walk to the point and back. Our next stop was the Sooke Potholes. We walked to several lookouts and spent some time playing at Sand Pebble Beach off of Parking Lot 2. Our final stop was East Sooke Park where we hiked a portion of the Coast Trail starting at Ayland Farms. 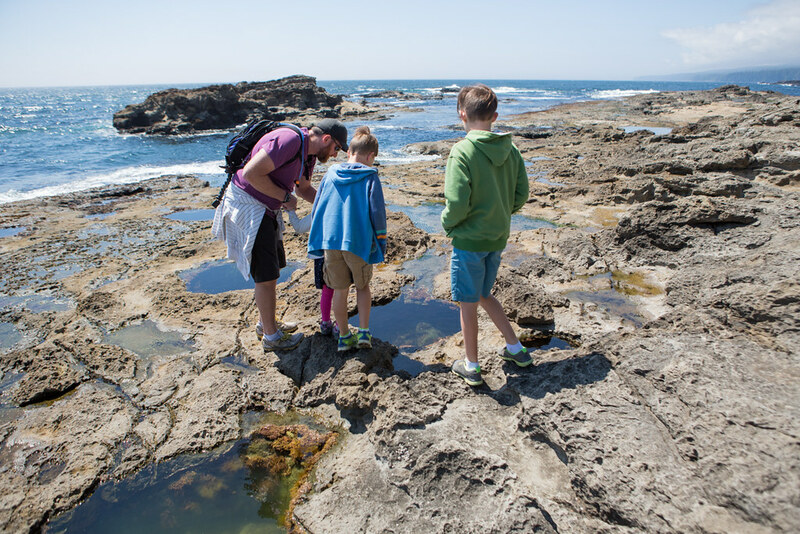 If you're not into hiking, you can easily walk the 5 minutes to the beach and enjoy the intertidal zone there. 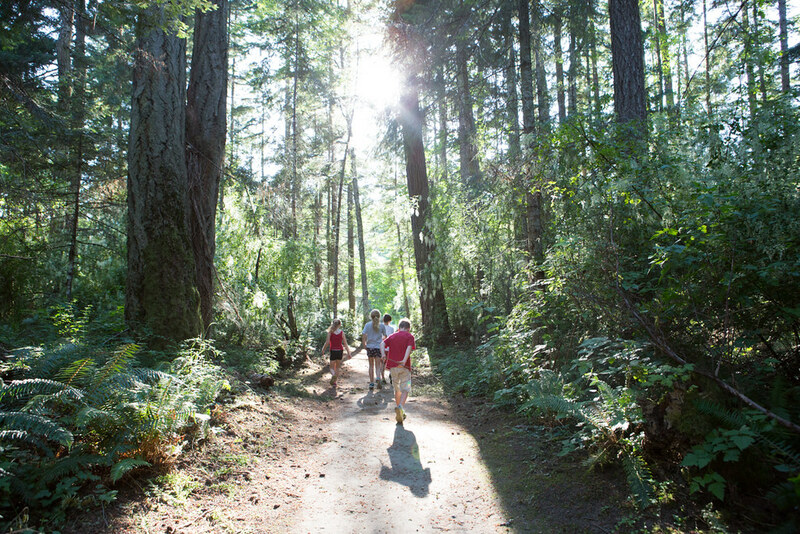 Note that at Botanical Beach, Sooke Potholes and East Sooke Park, there was a Park Watch program where individuals patrolled the parking lots and had maps to hand out. There is a donation box that you can contribute to. We did not eat out a lot but if you are at East Sooke Park, you are not far from My Chosen Cafe. It's a great family-friendly restaurant (with a take-out pizza option as well). The kids meals were $9.25 but included an ice cream cone from the Sugar Shack–delicious! I definitely want to go back there for dessert. 5. Victoria. We just had the day to spend in Victoria as we've been there several times as a family and it's easy for us to return there. If you have never been, give yourself a few days to explore the Parliament buildings, parks and beaches. 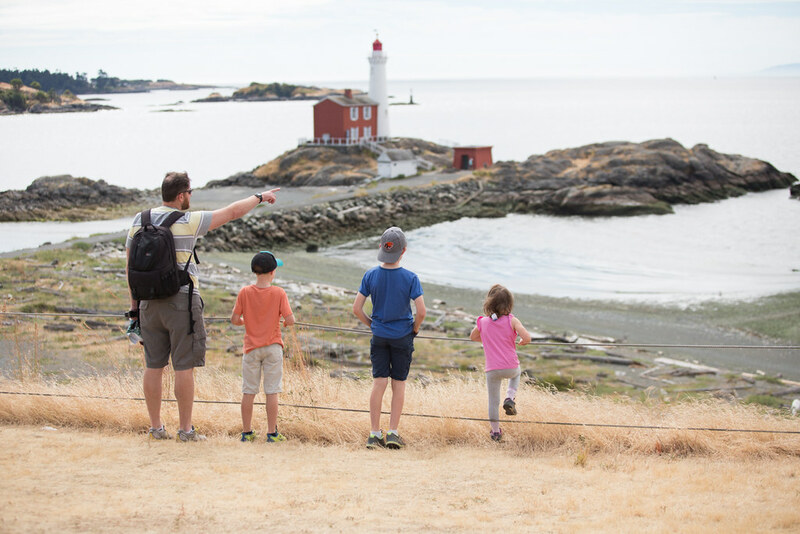 One stop we made that we had not done before was Fort Rodd Hill and Fisgard Lighthouse National Historic Sites. With it being Canada's 150th birthday we have a free Parks Canada pass and were happy to use it here. The kids enjoyed the history and I found that the lighthouse was particularly interesting with the displays and information. Hisotry aside, it was gorgeous and it helps that we had amazing weather. We did the scenic walk and spent about two hours here. 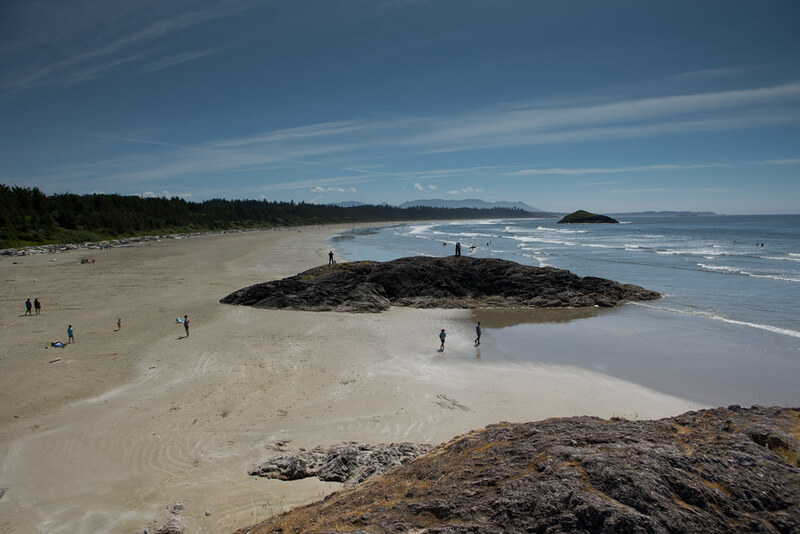 When travelling Vancouver Island, there will be some backtracking as Highway 4 is the only way in and out of Tofino and Ucluelet. 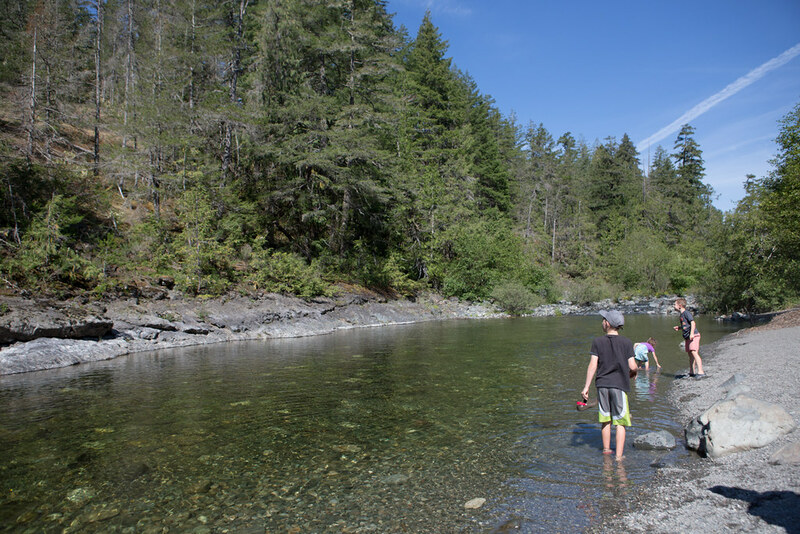 Although we did not do the upper portion of the Island, we have explored Port McNeill and Port Hardy in the past. 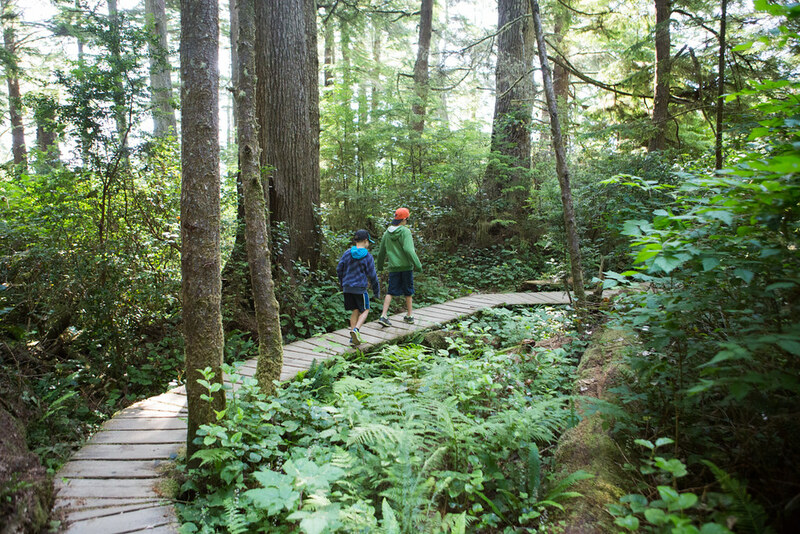 We really hope to do some overnight hiking with the kids along the Cape Scott Trail when we return to Vancouver Island in 2019. 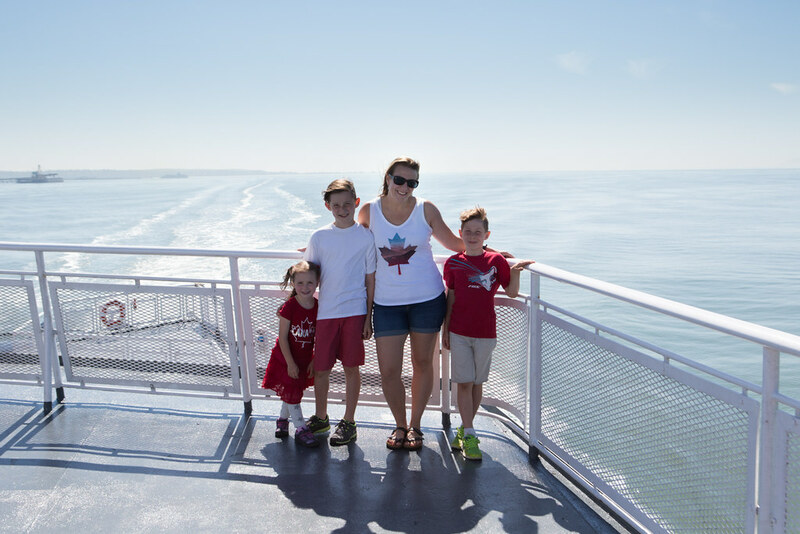 The ferry terminal is about one hour from Sooke and I had forgotten how beautiful the ferry route from Victoria to Tsawwassen is–I felt like I was on a cruise! 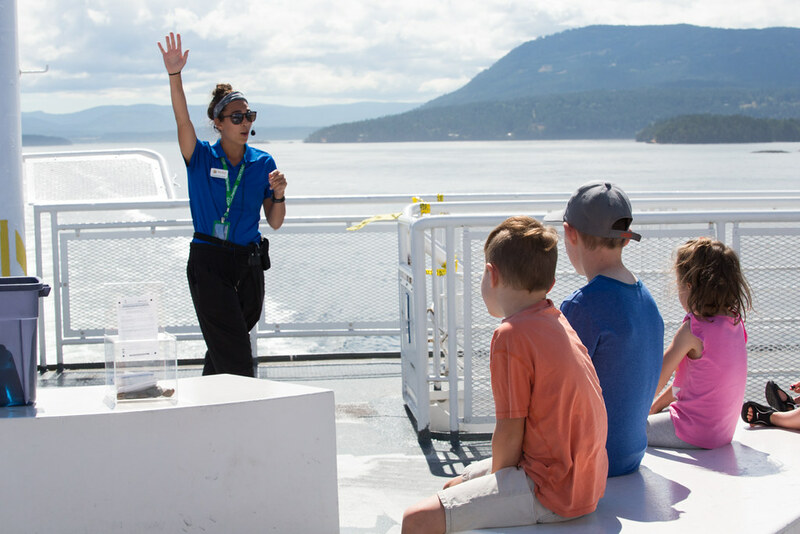 We enjoyed the naturalist program, spotted a whale and enjoyed the sunshine and islands as we passed by. What a great way to end our trip. 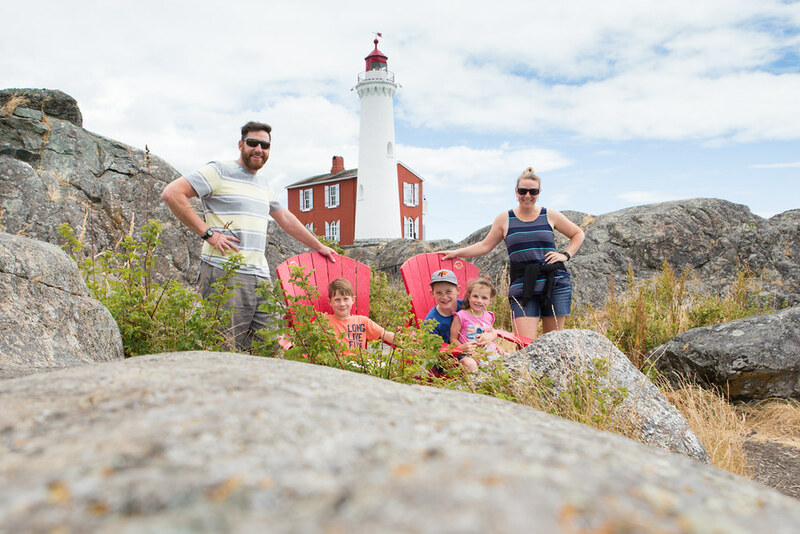 If you have not explored much of this beautiful province, I would encourage you to as there is something for everyone. 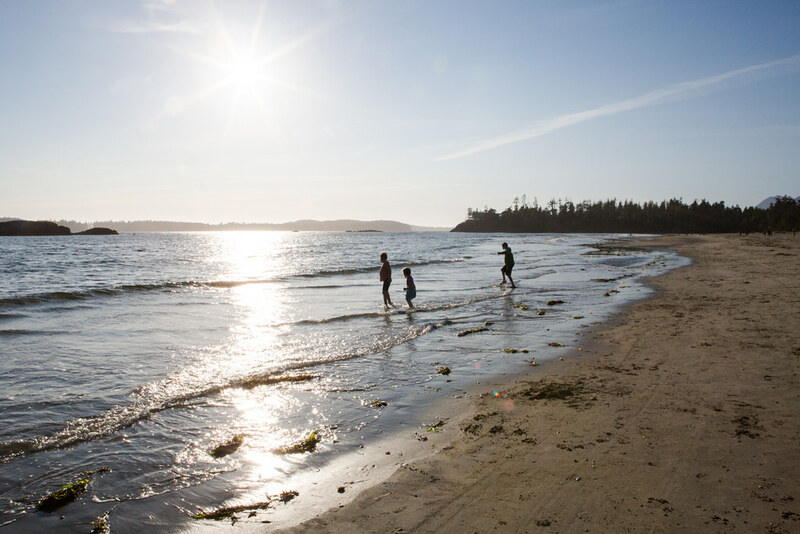 Roadtripping on Vancouver Island is easy to do because there are so many scenic spots along the way to break up your travels. 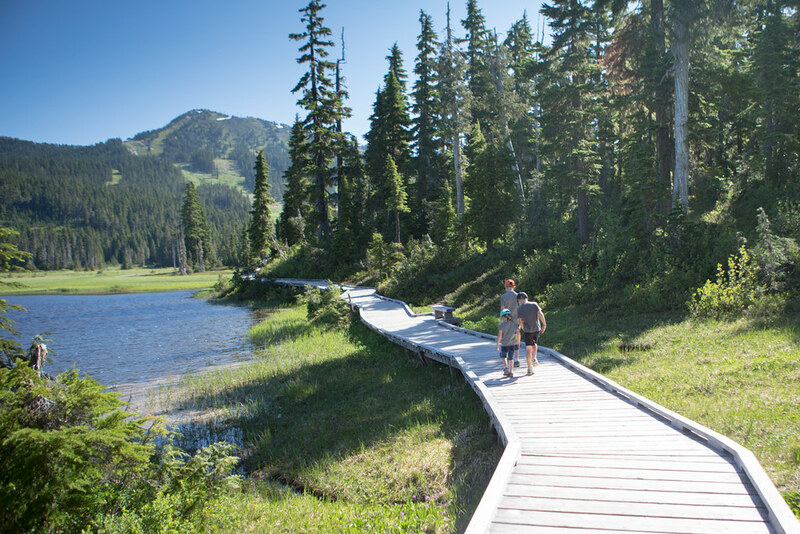 Have you visited Vancouver Island? What is your favourite place? If you would like to plan a trip in the future, please pin it! What a great overview of your road trip - Thank you for some tips that I'm sure we will use in the future! Great photos, as always. Thank you! Love seeing your photos too. WOW, what gorgeous pictures of such stunning places! Looking forward to seeing your vacation photos as well! So beautiful!! I really want to do a trip like this one day! I grew up camping all over BC, but we never went to the Island.